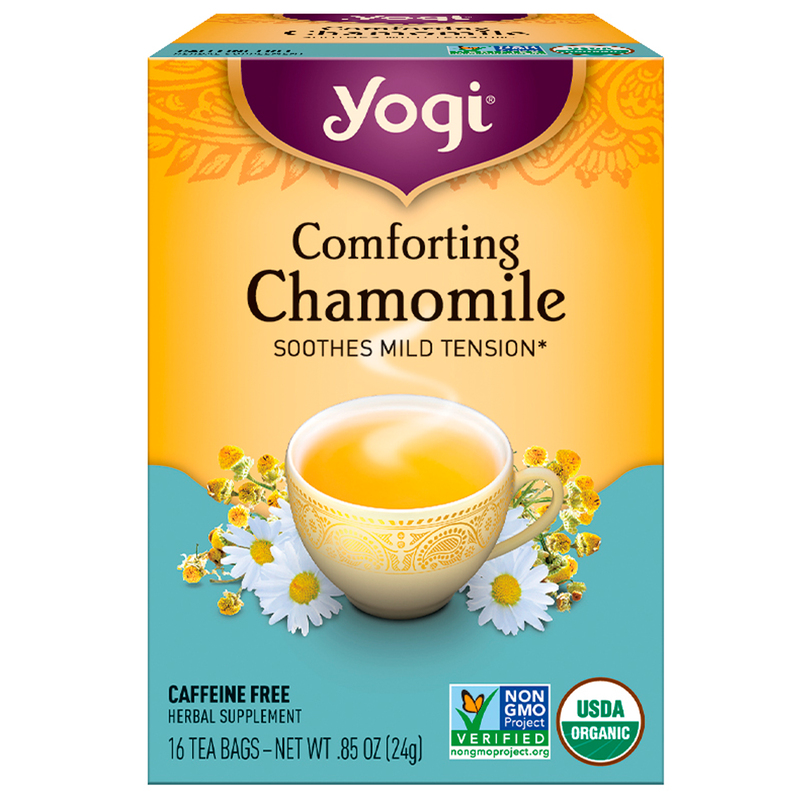 Let your stresses drift away as you sip a cup of our Comforting Chamomile tea. 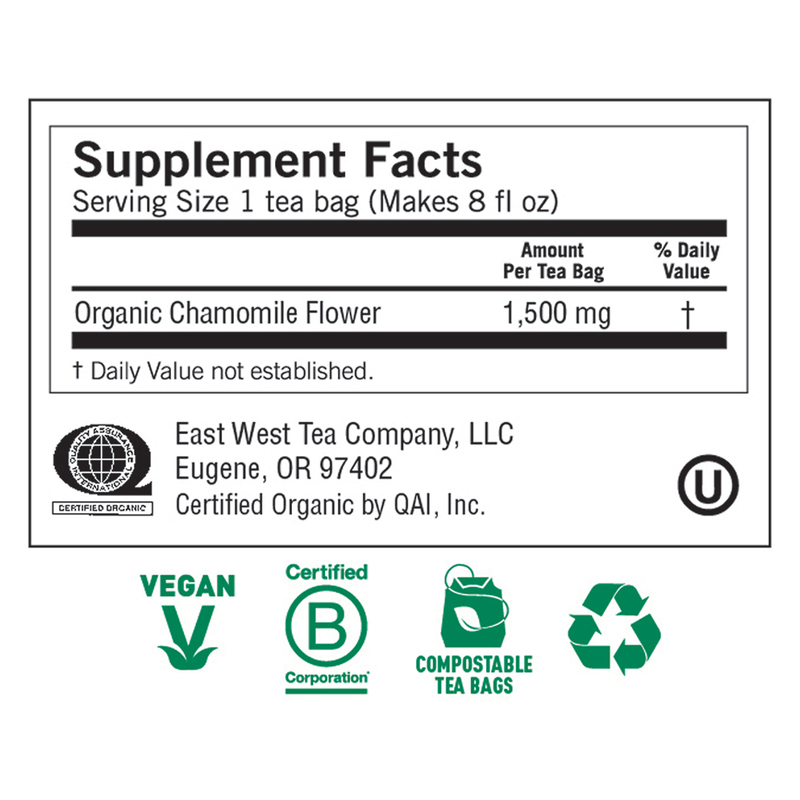 Chamomile has been traditionally used to help relieve occasional sleeplessness and ease minor stomach discomfort. 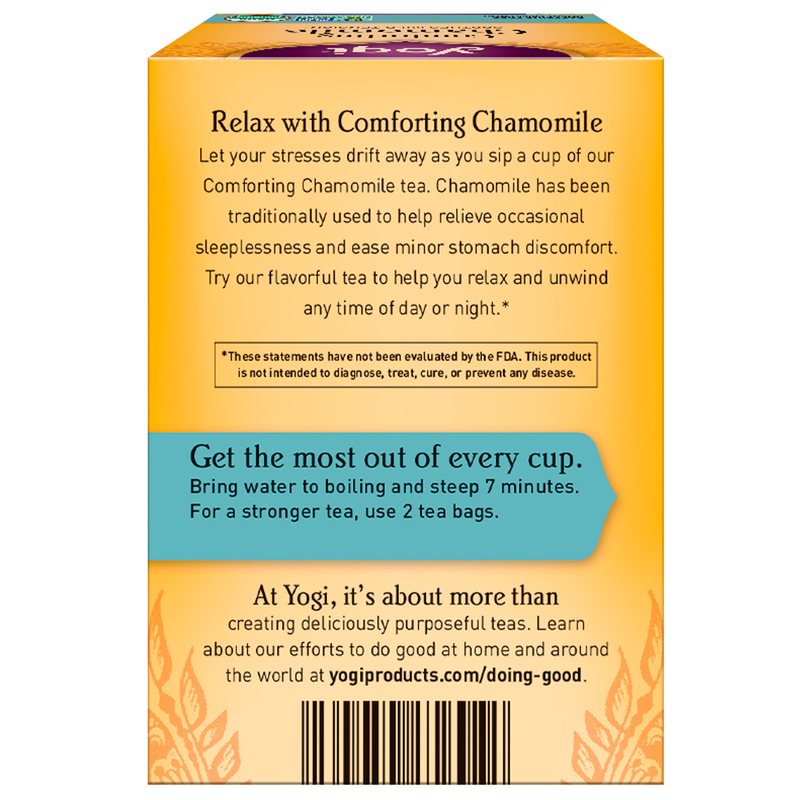 Try our flavorful tea to help you relax and unwind any time of day or night.